The perfect partner for your growing janitorial business. Let’s Talk. Book time with one of our Swept team members to get started. We get it, you want to try a product before you commit to buying it. We’re here to help you. Book a demo with us to find out if you qualify for a free trial. We appreciate you’re busy, but Swept can make a big impact and improve your business operations. Let us introduce you to Swept with a live demo . After all, we only get one chance to make a great first impression. What is a location in Swept? At Swept, a “location” is any space your employees are scheduled to clean on a regular basis. 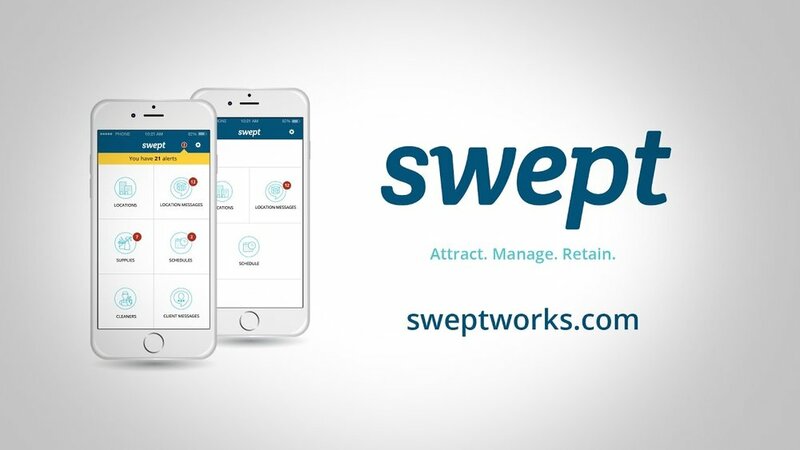 Swept allows you to manage your locations and create schedules, assign cleaners, list specific cleaning instructions and manage supplies. Each location has a message board which allows employees to communicate and share important information with their team. All Swept customers get access to the web and mobile app, and your admin manager will be able to set up your entire team, regardless of the size. You’ll also get access to our onboarding specialists who will assist you with training, setting up your account and best practices for cleaner onboarding. Our support team is available via email or phone 1.855.710.2079 and are here to help you with any challenges.